I’ve purchased 2 cars from this dealership now and they have been excellent. Great sales staff and great service department. Always ready to serve. Had a oil change and tire rotation. Good service and decent price. Will come back. Great place to get a vehicle from. Danyal ismail went above and beyond to get my in the car I wanted! Will be sending family and friends here. Ps they have snacks and drinks for freeeeee. 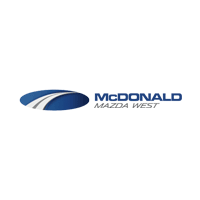 Buying a used vehicle at McDonald Mazda West was an excellent experience. Rick Johnson was a top-of-the-line sales professional with an in-depth knowledge of every aspect of the vehicle I was looking to purchase. I has now been 3 months and I couldn't be happier with the decision that I made. Ask for Rick when you drop-in for an incredible shopping experience.